Supreme® AR Shingles, strike the right balance between beauty and value with a beautiful selection of colours. 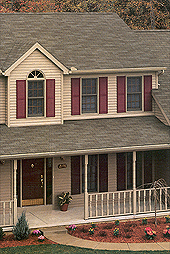 These three-tab shingles are designed to enhance the aesthetic and style of your home with lasting performance. Supreme® AR Shingles are backed by a 25-year limited warranty.